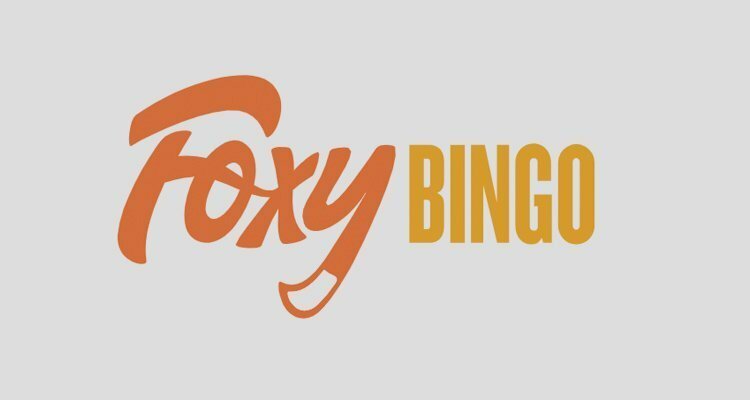 Foxy Bingo is a name that every UK online bingo player will know. They frequently launch television advertisements sponsoring your favourite shows and are a force to be reckoned with. Launched in 2005, Foxy Bingo primarily caters to bingo players located in the UK. Foxy Bingo has undergone several radical changes over the years, swapping bingo networks frequently. Right now, they are powered by Dragonfish/Cassava. The bingo site is currently licensed out of Gibraltar and by the UK Gambling Commission. Popular whether you wish to play on your phones and tablets or your laptop and desktop computers. 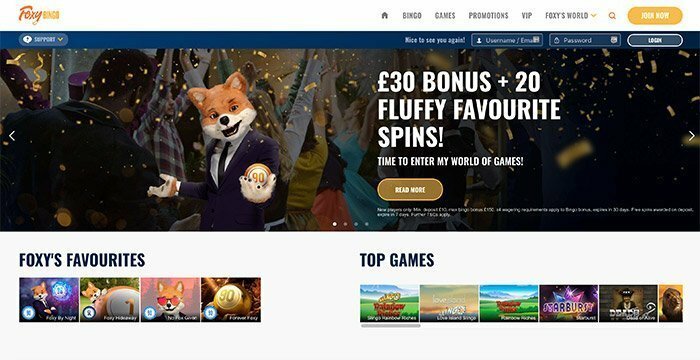 They offer all new players who choose to play with them the opportunity to play with £40 and 20 free spins on the Fluffy Favourites slot when they deposit £10 or more at the site as a newbie. Also read our review of mecca bingo and sun bingo. Why Play At Foxy Bingo Online? Foxy Bingo has had an up and down time over the last few years, frequently changing their software providers. After initial success, they relaunched in 2016 with a new Dragonfish package. The bingo domain then underwent further changes in 2017. A better new look, this time with a lavish and regal appearance; far more so than their previous happy go lucky appearances. Today, Foxy Bingo’s games run on Cassava/888’s Dragonfish bingo network. They can offer both 75 and 90-ball bingo to their fans, with pre-buy, special, penny and £5K Foxy Luminations bingo games also up for grabs. 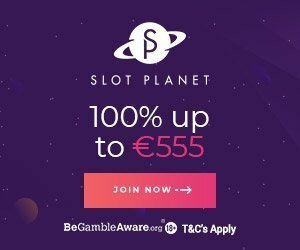 Ticket prices typically range from 1p up to 50p a game, which jackpot prizes ranging from as little as £3 up to a more wholesome £5,000, depending on the room and game. Notable Foxy Bingo rooms include Foxy Forever, No Fox Given, Fair and Foxy and Foxy by Night rooms. As well as online bingo. Foxy also offers up a range of side-games from some of the most notable and respected developers around. Net Entertainment are the main provider of these games, although IGT, WMS Gaming and NextGen Gaming also serve up games for you to play. Gaming genres you can find with Foxy Bingo’s side-games include ample instant win, scratch cards, table games, jackpot games and new games. Slots can also be found in the online bingo site, and they make up the largest selection of side-games available. More notable slot side-games include Rainbow Riches, Starburst, Dead or Alive, Hot Safari, Cleopatra, 3 Genie Wishes, the multi-million-pound paying progressive slot, Mega Fortune, Twin Spin, Divine Fortune, Guns ‘N’ Roses, Pyramid: Quest for Immortality, Montezuma, Da Vinci Diamonds, Archangels: Salvation, 1429: Uncharted Seas, and Steamtower. And there are many table-games like roulette and blackjack. Foxy Bingo offers mobile gaming as well as online bingo gameplay. Unlike other major UK bingo sites, Foxy Bingo does not require players to download an app to play bingo on their go. Their mobile offerings are provided via a browser-based mobile domain, which can be accessed on all modern iOS and Android-powered smartphones and tablets. Players will find that there are no specific promos or bonuses in store for mobile users. Instead, mobile bingo players are invited to claim the same promotional offers that they can find in the standard, instant play Foxy Bingo site. if you like to play free casino games check Gametwist Casino. If you should find yourself requiring customer support for any reason at all, Foxy Bingo’s team of customer assistance reps are on hand to cater to your needs. They can be reached via e-mail, and they will try to get back to you within 48 hours. Alternatively, you can use the live chat option, which provides instant (or near-enough instant) support and assistance. Players who prefer to obtain assistance via telephone can do so on either UK or international numbers, with the support team being reachable via these methods from 6am to 11pm, Mondays to Sundays. Foxy Bingo may have changed their look and appearance, even their software providers and bingo network, but they are still on top of their game. The bingo site offers quality support and security, holds valid gambling licenses issued out of the UK and Gibraltar, and is widely regarded as one of the biggest, most secure bingo sites you can find. Fan of lottery? Check Lottoland! Foxy Bingo accepts several different deposit methods. VISA and MasterCard represent the two credit card options accepted for deposits. E-wallets include Neteller and PayPal, with other deposit methods including VISA Electron, and EntroPay. Wire transfers are also permitted at Foxy Bingo. Players must deposit at least £10 into their account and deposits are instantaneous unless you use a wire transfer, which can take between 5-8 business days to land. Daily, weekly and monthly deposit limits of £10,000, £25,000 and £100,000 are in place. Withdrawals are permitted using most of the options listed above. A minimum of £100 must be deposited before a withdrawal can be processed. The minimum withdrawal limit is £10. Players at Foxy Bingo can expect to wait 2-3 days for Neteller, PayPal and MasterCard withdrawals. VISA withdrawals take 5 days, and wire transfers are processed in 7-10 days. Players can withdraw up to £5,000 per day. Also read the Heart Bingo review. New Foxy Bingo players are invited to claim a 300% bingo bonus on their first deposit. As well as 20 free spins on the Fluffy Favourites slot. Any new player who deposits £10 can claim £40 worth of bingo bonuses. The offer does extend up to £150 in value, though. Aside from the welcome bonus offer, Foxy Bingo also delivers a range of other deals to players. Linked bingo games, weekend pre-buy tournaments, BOGOF (buy one get one free) bingo. Many other special bingo deals can be snapped up by funded players at the site. There is also a VIP program run at this bingo site. 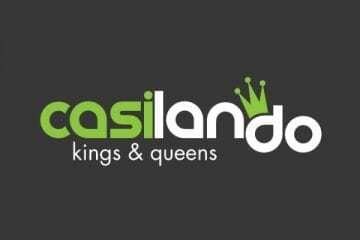 By playing games, players can enjoy regular free spins on top games, weekly rewards such as real cashback, access to exclusive VIP bingo games, direct access to a VIP support team, regular bingo and casino bonuses, and hospitality invites to amazing events, some of which takes place in luxurious venues abroad.